If you are familiar with the field of personal development then you might have heard of Dr. Steve G. Jones before, if not then let me tell you that Dr. Steve G. Jones is one of the most popular names in the personal development industry. 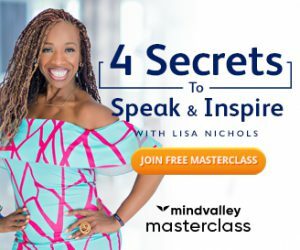 He has produced many programs which include the popular ones like ultimate conversational hypnosis, confidence beyond belief and wealth trigger 360. 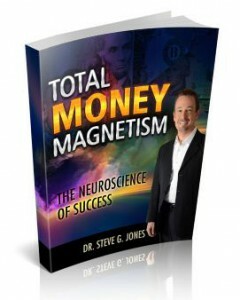 Jones is a well-known hypnotherapist and he uses his knowledge of hypnotism to create money mindset building programs. In this book he provides you with the techniques that will train your mind to attract financial success. In this total money magnetism review, I will be discussing in detail on what you could achieve from this material. Our ability to earn money depends on our own subconscious beliefs, because of the suggestions received by our mind when we were growing up, our subconscious mind gets programmed to work in a certain way that our money earning ability becomes limited. This program focuses on altering those subconscious beliefs so that you could attract more wealth in your life. The main part of this program is a book which takes you through a journey where you get to learn the tools that will enable you to reprogram your mind. You will also be introduced to a neuroscience technology named as the neuroscience of success that you will be able to learn and use while going through these materials. Apart from this, you will be taught the principles using which you could effectively learn to think like millionaires. In the package you will also get 6 audio hypnosis sessions created by Dr. Steve G. Jones to supercharge your subconscious mind with positive suggestions for attracting wealth. In addition to all that you will get videos containing interviews of successful personalities and video tips by online marketing expert Mark Ling on how to make money online. 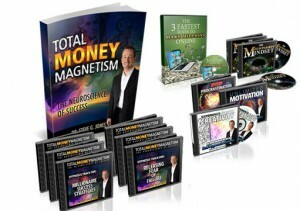 How Does the Total Money Magnetism Work? Our true potential in any particular area is determined by the beliefs ingrained in our subconscious mind and in order to see positive results in the outer world we will have to first change our inner beliefs. Once our subconscious mind receives new suggestions and the old beliefs gets replaced, it is then that the ways that were invisible earlier shows up, automatically our habitual patterns changes and we start making the right choices. We witness unlimited examples of people in today’s world who are struggling and working hard but not making any significant progress whereas some are thriving with total ease. Those people who are oblivious about the workings of their mind blames this on luck, I can guarantee you that it is not “luck” but the difference in the mindset that causes this difference . Using the techniques, audios and tips provided by Dr. Jones in this program you can successfully alter your inner beliefs which will completely change your financial situation. 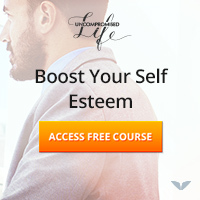 This program works by changing your inner beliefs and implanting the success mentality using various effective techniques; it will equip you with powerful tools that will train you to think like successful people. Since, this is a product created by Dr. Steve G. Jones and it is available for such a low price I don’t have anything to say against this product. However, I have an advice for you- Please buy this product only if you believe that it will work for you and if you are willing to follow it regularly by taking time from your daily schedule. According to me the effective techniques, hypnosis audios and cool additional bonuses (unlike usual additional bonuses) makes this product definitely worth buying.